The investigation indicted Vyacheslav Nekrasov, former director of the Domodedovo airport, for providing services not complying with security standards in connection with the 2011 bomb attack. 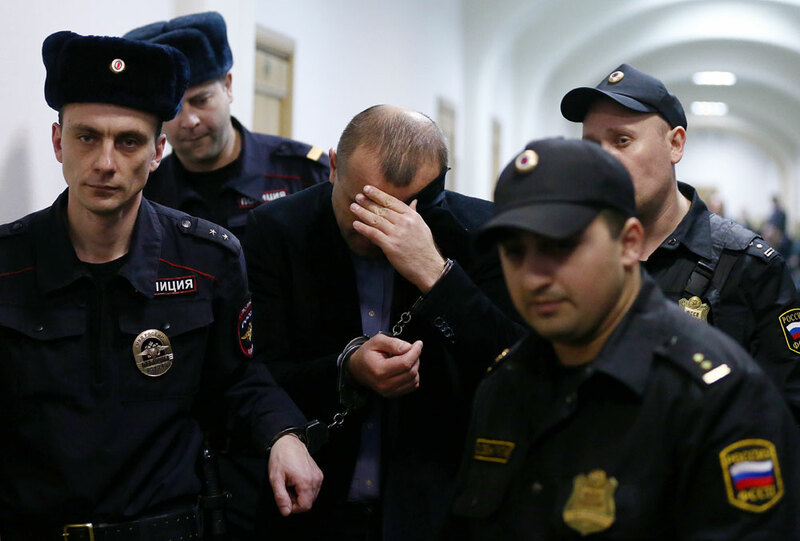 All civil claims filed by aggrieved parties in the 2011 Domodedovo airport bombing case have been withdrawn, the claimants' representative, lawyer Igor Trunov, told Interfax. "Sixty-four claim withdrawal statements have been lodged with the Investigative Committee, which means all the aggrieved parties have withdrawn their claims," Trunov said. Compensation has been paid from the Aviatsionny charity fund to 103 victims and families of the bombing fatalities, he said. On January 24, 2011, a suicide bomber activated an improvised explosive device in the international arrivals section at Domodedovo International Airport. The explosion killed 37 and injured 172 Russian and foreign citizens. Four people who were involved in the attack have already been convicted. In June 2015 police opened a criminal case against a number of heads of airport services on charges of providing services in breach of safety requirements, resulting in two and more deaths, in the context of the 2011 terror attack at Domodedovo. The charges were brought against ex-chief of Airport Management Company Ltd.'s Russian branch Svetlana Trishina, former managing director of Domodedovo Airport Aviation Security PJSC Andrei Danilov, former airport director Vyacheslav Nekrasov, and Domodedovo actual owner Dmitry Kamenshchik. All of them were charged with providing services in breach of safety requirements resulting in two and more deaths. The defendants are under house arrest. The Russian Prosecutor General's Office insisted that the criminal indictment and restrictive measures had been illegal. It believes there is no casual connection between actions of the defendants and people's deaths in the suicide bombing. According to detectives, Kamenshchik, Trishina, Nekrasov and Danilov introduced a new screening system at entrances to the airport, which led to an increase in the airport's exposure and, consequently, the provision of civil aviation services in breach of safety requirements. Domodedovo airport representatives and representatives of the aggrieved parties agreed in mid-May 2016 that compensation would be paid under the 2011 airport bombing case on counts of providing services in breach of safety requirements. The Aviatsionny charity fund was set up to reimburse the aggrieved parties. According to its constituent documents, the fund would assign donations to the aggrieved parties of the Domodedovo bombing case in the form of lumpsum payments.